It was in August 2014 when the ruble tumbled into a free fall until on January 22 it hit its worst exchange rate to the US dollar (82.9:1) since the introduction of the “new ruble” in 1998. But soon after that it began to stabilise and now hovers around 62-65 rubles to the US dollar. This means that property denominated in US dollar or currencies pegged to it has become almost 28 per cent cheaper in ruble terms since then, which almost immediately led to a significant rise in enquires for property in Dubai in the first half of 2016, according to statistics by real estate portal PropertyTrader.ae. Property firms in Russia confirm the trend that interest in Dubai property is back as more Russians — and not necessarily only the wealthy — are on the outlook for a safe haven to park their money overseas, preferably in a brick-and-mortar investment. 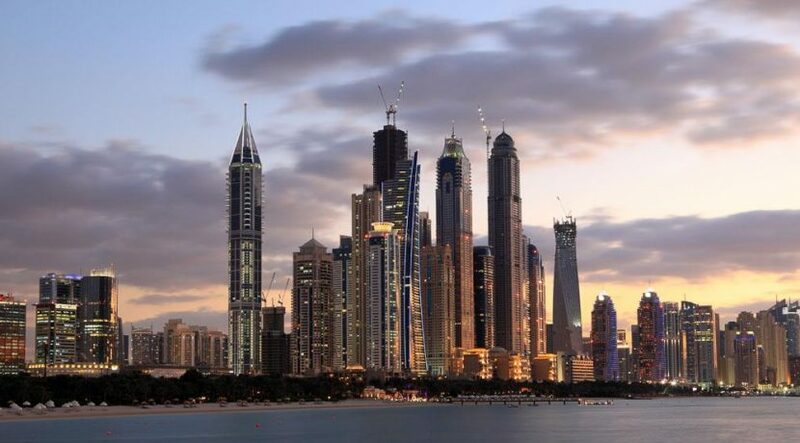 “Basically, Dubai is still a very much appreciated overseas property investment destination, however, the most significant change in the recent past is the fact that our investors have smaller budgets,” says Bianca Jutaru, spokesperson of Moscow-based Tranio.com, which specialises in international real estate brokerage. Russians have traditionally been attracted to Dubai’s premium real estate, which offers relatively lower prices compared with more mature markets such as London, New York, Paris, Hong Kong or Singapore. Dubai’s sunny climate, tax-free environment, good flight connections with larger Russian cities, health and transport infrastructure, and abundant leisure facilities also help attract Russians to the emirate. In a survey conducted earlier this year, Tranio.com listed Dubai as the most popular city for Russian real estate investors. Dubai ranked ahead of New York, Barcelona, Miami, London, Los Angeles, Prague, Paris and Berlin based on the number of enquiries by prospective Russian property buyers. “Apart from the many advantages of Dubai, the variety of elite property for comparatively low prices are strong attraction points,” says Yulia Kozhevnikova, real estate research expert at Tranio. In the list, Dubai’s average price for property in central districts is given at $4,422 (Dh16,239) per square metre, far below the average prices in New York ($19,177), London ($26,681) and in Paris ($11,167). It is also cheaper than in Moscow ($5,297) and more or less on par with the US retirement hub of Miami, Berlin and Barcelona. “Dubai is still a sought-after investment destination, however, our customers’ budgets have decreased significantly,” says Daria Batiuk, Sales Manager at Tranio. “This is mainly caused by the ruble devaluation. A lot of our clients are looking to invest in rental property now and the most popular are studio flats and small apartments. There is reason to believe that this trend will put Russia back among the top-five foreign non-GCC nationalities buying property in Dubai. According to Dana Salbak Head of Research at Knight Frank, Russians were traditionally fourth on the list of non-GCC property investors in Dubai by investment volume, behind Indians, British and Pakistanis. As the ruble crisis hit, Salbak says Russians dropped to sixth, surpassed by Iranians and Canadians. One of the latest developments on the Palm Jumeirah is being undertaken by Russian developer Forum Group, which has launched a 4.6-hectare gated community of 22 villas in the West Crest called XXII Carat. Set for completion in the four quarter, the Mediterranean-style villas are priced $11 million upwards and offer generous beach frontage spanning more than 220m, in addition to 25m pools, according to the developer. Headquartered in Yekaterinburg with a branch in Dubai, Forum Group has an asset portfolio of more than $500 million in the UAE and Russia, according to Managing Director Sergey Vorobiev. been in business in Dubai since 2004. Currently, regulations for property visas in the UAE are complex and linked to the value of the purchased property. To avail of visas, the property purchased must be valued more than Dh1 million, located in a freehold area, be in a habitable condition and needs to be entirely owned by the investor. Property owners can apply for a renewable six-month, multiple-entry visit visa or a long-term two-year residential visa, but relatively high fees are collected during each renewal. However, there is talk that such property visas will become valid for at least three years, with conditions to be eased and processes simplified. Providing long-term or retirement visas could further attract more Russian property buyers to Dubai in a “second home” push for the emirate.